1. CHOOSE your item from our large range of ceramics from plates, mugs, bowls, figurines, money boxes and much more. 2. CREATE your masterpiece. Choose your colours from the range of washable non toxic paints. If you are stuck for ideas, or unsure on a certain effect, we are very happy to assist you throughout. 3. COLLECT your item 3 - 4 days after its been glazed using our food safe glaze and fired, turning it into a fantastic glossy masterpiece, ready to use. 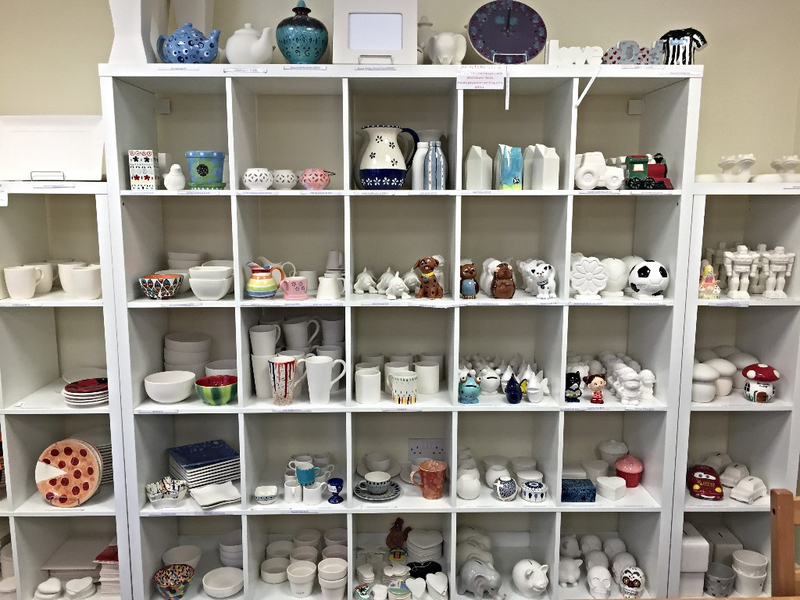 Studio Fee (£3.50) + Pottery Items (prices start from £3.95). The studio fee covers the materials you use for painting and the pottery finish (glazing and firing). This studio fee is per painter not per item.